I have a confession to make. I never won a Fortnite: Battle Royale match during Season 3 or 4. In fact, I never won any battle royale game at all. Before now. I booted Fortnite's Season 5 on Thursday. Suddenly, I wasn't dropping near Tomato Town or off Dusty Divot. I landed right on an enormous bridge between the desert biome and Retail Row. After a few gun spats, I found myself scavenging for items in a new way. The desert—a strange and foreign addition to a map I had become way too comfortable with during the last season—encouraged me to be more careful, to take things slowly, and to search for loot wherever I stepped. I had to: I just barely fled a confrontation with a much more experienced opponent on the bridge after I dropped, and I found myself sneaking underneath, avoiding his looming presence above me with only 13 HP left. Soon enough I found myself away from every other player running around Paradise Palms. Instead I built impenetrable forts near Dusty Divot as the Storm gradually forced me back to the desert. I found myself perched on the only stable fort left at the smallest eye of the storm, harassing my opponents down below. And then finally, when there was only one enemy left, I tricked a far more experienced player into raiding my fort. A breach that left them on the other end of my Assault Rifle, unaware that I was waiting down below. It's coming up on a year since Fortnite introduced its battle royale mode. It has changed several times over. The map has shifted. But it always stays familiar. 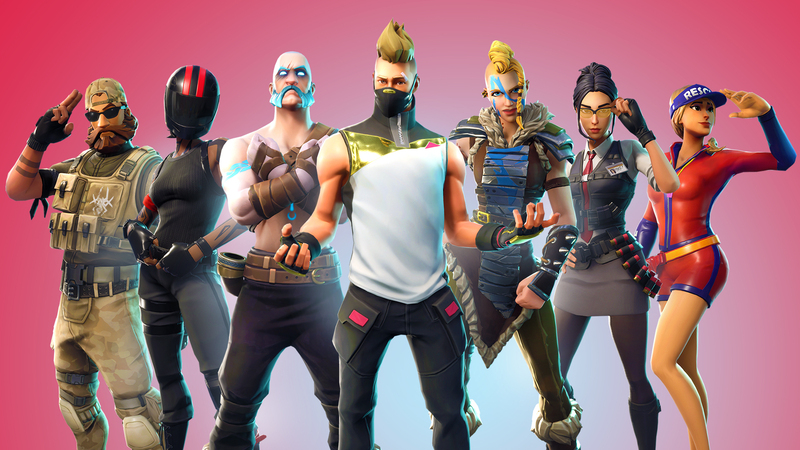 The balance of these changes has shown the precision of Epic Games, and how the studio built a game to last. During E3 2018, Epic Games announced that 125 million players had signed up to play Fortnite since last year. Over at Polygon, Colin Campbell wrote the game "took the best bits of PUBG and quickly iterated a game that would appeal to casual players." Fortnite is equally popular among adult Twitch streamers as it is with children, teenagers, college students, and world famous rappers. There's a key reason why Fortnite has held onto such an enormous following from one season to another. To understand what the game is doing right, it's worth comparing Epic Games' battle royale title to its direct competitor: PUBG. Months after Fortnite: Battle Royale launched, PUBG introduced Miramar, an eight-by-eight desert map with a completely different structure from the game's original Eastern European-like level, Erangel. For a battle royale game, adding another map forces players to start all over, relearn the game, and sink in another couple two or three dozen hours to become more familiar with new ebbs and flows. That kind of addition can feel exhausting, not exciting. Great, a whole new map to die in. Fortnite has a different philosophy on what new content should look like. 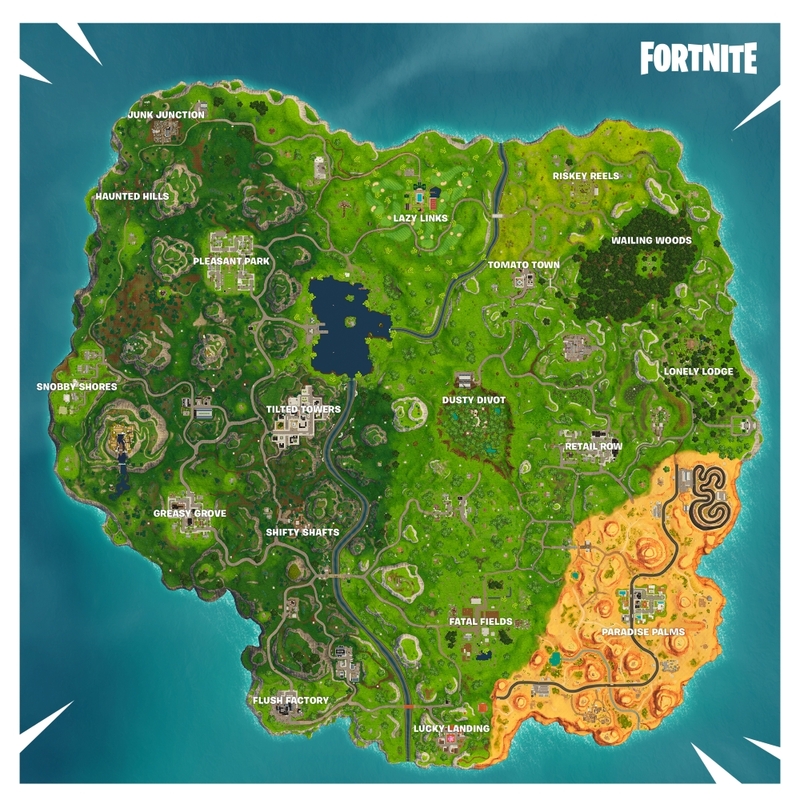 Instead of making players learn a different level each update, Epic Games tweaks the current map by changing points of interest. During Fortnite's Season 2, for example, Epic added in Tilted Towers, Snobby Shores, Haunted Hills, and Junk Junction, giving players additional places to scavenge for loot and skirmish. Most memorably of all, Fortnite players saw a meteor crash into Dusty Depot just last season, leaving an enormous crater and sci-fi base for players to explore under the location's new name, Dusty Divot. Season 5 takes on similar changes, this time with a brand new desert biome. Gone is Moisty Mire, replaced with Paradise Palms. The new points of interest are arguably some of the biggest changes to Fortnite, but then again they aren't that enormous in size. Only a few other alterations can be seen outside of the desert, such as Dusty Divot turning into an overgrown grassland of a crater, and the luxury resort Lazy Links subbing in for Anarchy Acres. That's just enough change for players to feel like something new has been added, even if they're spot alterations. Of course, plenty of old strategies still work just as fine as they did last season. After escaping the desert and fleeing north, I found myself near Retail Row and Dusty Divot, where I scavenged through nearby houses for building materials and weapons, finding the same old Treasure Chests that always proved useful in my fight to survive. As the Storm forced me back to where I originally dropped, I wasn't too worried for another confrontation. Fortnite's Season 5 map was just familiar enough that I knew how to loot and build up a tower in preparation for the fight to come, but different enough for even the most experienced players to be taken off-guard. In many ways, this is just a microcosm of something that Epic Games succeeds at. The new Season 5 reward tiers, for example, slightly change things up by giving Free Pass users more access to Sprays, Emoticons, and Gliders. And Fortnite has just seen its most useful vehicle, the All Terrain Kart, which lets squads drive together and bounce into the air off the roof. But these changes aren't all that different from the same formula used to change Fortnite's map. Despite the Free Pass' new items, the Battle Pass is still the best way to earn skins. And while the ATK gives teams and solo players alike some more mobility, it isn't a far cry from the Shopping Cart from last season. Epic is all about increments. Fortnite is a game best changed with one or two pieces at a time, a slow drip letting players soak in the new alterations while still enjoying the same format they know and love. And if Season 5 shows anything for the game's future, it's that Epic knows how to excite fans with new content without giving them an ocean's worth to comprehend. So don't be afraid to join in on the fun at Paradise Palms. You may just end up winning your first Victory Royale too.